How to make a web page may be a problem that a lot of novice designers will encounter. The web page is a portal for business, group and organization, wonderful web page allows users to remember the theme you want to show and the function you want to achieve. So for designers, learning how to design an ideal web page to help customers build the desired brand image is a university asked. In this article, we share some ideas and methods for web design. The Web is an architecture, through it you can access linked documents that span the Internet host. The Web is a kind of service provided by the Internet; it is a collection of huge documents stored in Internet computers around the world; Webs are made up of documents that are associated with each other, which are called home page or page (It is a hypertext). Publish an online document that contains titles, text, tables, lists, and photos. Through hyperlink retrieval online information. Include spreadsheets, video clips, sound clips, and some other apps directly in the document. FTP is an abbreviation for File Transfer Protocol.The file transfer protocol allows the user to access another computer system to obtain public software or to transfer files to another computer system. 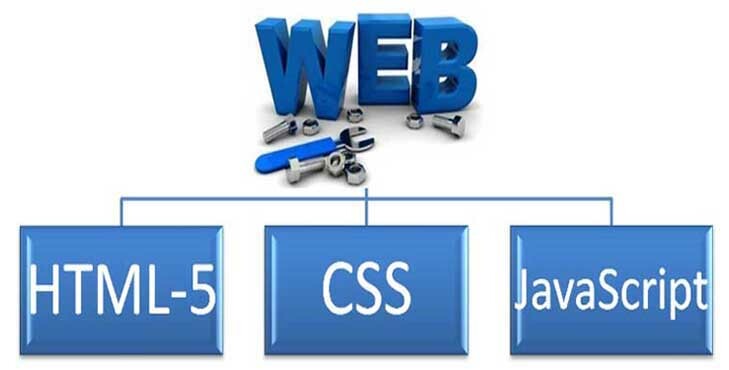 CSS is short for Cascading Style Sheets.Its main function is to be more flexible control of the page style(Such as font size, font color, line height, background color,etc), positioning (such as the establishment of specialized CSS files, as long as the change of a value, you can make a whole website font style changes). As long as familiar with these required functions, even if not a professional designer, with the use of related, you also design a brand image and impressive page. In general, a web design process includes design themes, collection of materials and research, planning page layout, selection tools, production, uploading and promotion. After such a series of processes, your page should be done! Frontpage is probably the easiest, yet powerful web editing tool. Using a typical Word interface design, as long as you know how to use Word, it is almost equal to use Frontpage. Even if you do not understand Word, it does not matter, "WYSIWYG" mode of operation will let you get started quickly, and you do not have to learn HTML syntax. But Frontpage also has its shortcomings: first, the browser compatibility is not good, do out of the page, with Netscape often can not be normal display.Second, the generated garbage code will automatically modify the code, resulting in some cases extremely inconvenient; again, DHTML support is not good. But anyway, Frontpage is really the best entry-level web editing tool. Dreamweaver support for DHTML is particularly good, you can easily make a lot of dazzling page effects. Dreamweaver, Flash and Firework called as three Musketeers, because it is the same company's products, and thus has a very close combination of functions.The latest Dreamweaver UltraDev more support Asp, Jsp. So, that Dreamweaver is the first choice for advanced web page production. Flash is also Macromedia's products, Flash is the interactive vector and Web animation standards. Web designers use Flash to create a beautiful and can change the size of the navigation interface and other strange effects.I believe that anyone who has seen Flash technology, no one does not want to master it. Although it will also have the limitations of availability and broadband download time, it is easy to learn, easy to use, and can make a lot of animation sites, and the design is with sensual combinations, it is a very promising web production technology. Of course, three Musketeers is the most famous web making software. But recently learned that a lot of UIUX designers are using Mockplus. It is said that the operation is simple and quick, there are videos to teach you to make web page prototyping, a novice can learn quickly, it recommends that friends who are interested in can have a try !